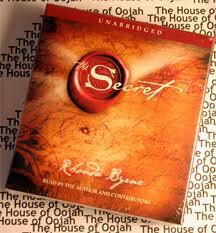 The Law of Attraction was introduced to the world by Rhonda Byrne in her book and movie, ‘The Secret’. It is not a new concept. Dr. Norman Vincent Peale talked about it in 1952 in his book ‘The Power of Positive Thinking’. At that time, the world was not ready for it and the book received heavy criticism from the mental health community. However, Rhonda introduced the concept in such a convincing manner that it took the world by storm. The world is now ready for it. The Law of Attraction is consistent with the teachings of Yoga. In Yoga, it is taught that our thoughts are energies which are projected out into the world and this makes us Creative. That is why events that make us happy tend to attract more positive events and vice versa. However, we must also recognise that we are not the only person sending out creative energies into the world. I wish Rhonda mentioned this in her book. Other people can also send out positive and negative thought energies that affect our life. When we help others, they will think good things about us and send us helpful positive energies. These energies create positive circumstances for us and help to remove obstacles in our life. On the other hand, when we harm others, their anger will direct negative energies into our life. Unfortunately, people tend to hold on to anger longer than gratitude and therefore, the karma of harming or cheating others can be very heavy and long lasting. Viewed from another angle, if one is in the receiving end of harm, one may cling on to the anger and waste one’s creative powers on the person who harmed us. By occupying one’s thoughts with anger, one is actually wasting one’s creative energies which could have been better used to create positive circumstances for oneself. That is why the great Masters always advise us to forgive and forget. 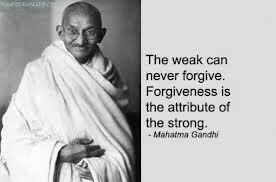 Forgiveness is one of the important teachings of Christianity. It is not difficult to see why. It is wasteful to burden ourselves with anger which can only make us bitter and resentful. If we cannot forgive those who have harmed us, at least surrender the need for justice to the Divine. Vengeance is a waste of energy. The Law of Karma has already taken care of it and there is no need for any effort on our part. In fact, the Dalai Lama said that we should feel compassion for those who harmed us because of the repercussions which they will receive. We must remember that the Dalai Lama was chased out of his own country to live in exile and has more reason than any of us to be resentful. How do we know if we are creating good things for ourselves? Trust your emotions (see the article ‘Be Friends with your Emotions’). We send out positive energies when we are feeling happy and at peace and send out negative energies when we are burdened by negative emotions. If we are troubled and worried most of the time, we must learn to observe our thoughts and weed out our negative habitual thinking patterns. That is what meditation is for. Some people say that they cannot meditate. What they are actually saying is that they cannot tolerate their own thoughts. Learn to tolerate them. It is the only way that we can observe them and see how silly they are. If we are truly honest with ourselves, we must admit that the bulk of our worries never happen. Rather than giving strength to our worries, which is actually a negative habit, we can develop the habit of being grateful for all that we have (see the article ‘Developing the habit of Gratitude’). So, as the song goes – Don’t Worry, Be Happy. Dear Desmond,Thanks for another great insight.What struck me most was the following sentence,”Some people say they cannot meditate.What they are actually saying is–that–they cannot tolerate their own thoughts”.That was like a big heavy hammer that landed on my head.How true that sentence is. Thank You my Spiritual Brother. Dear Desmomd, Thanks for sending the articles. this ‘ Law of Atraction and Karma” it says such a wonderful message to me and its really flickering my third eye…As we know, what is Neuton’s 3rd law said as as it is happening on this earth….if we will think good then we will receive also good.